So Fall has officially arrived in New York and I know many of you are still clutching onto summer. So to help you in your denial of mother nature, make yourself a Dark 'n' Stormy, one of the best summer drinks. Fill a highball glass with ice and add the rum and lime juice. Top with the ginger beer. Garnish with the lime slice and/or candied ginger. Let's start with the rum. 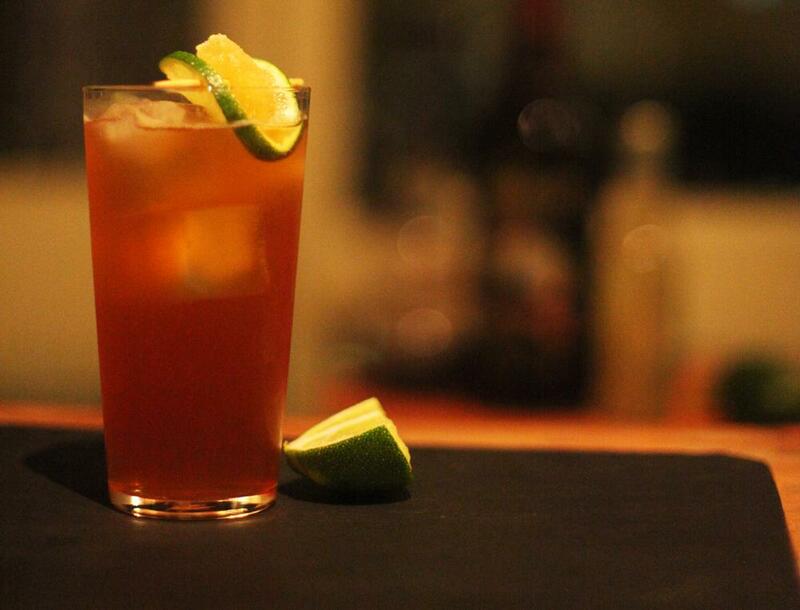 The Dark 'n' Stormy uses dark rum. Dark rum is not the same as amber rum so do not use Bacardi or other amber rums. I prefer to use Goslings, but Myers makes a good dark rum as well. Now that we have the rum settled, next is the ginger beer, the most important ingredient in a Dark 'n' Stormy. Ginger beer is NOT ginger ale. Ginger beer is also non-alcoholic but has an intense ginger flavor, and is often made with real ginger. I prefer Fever-Tree ginger beer since it is not too spicy and not too sweet. It is actually very nice to drink by itself. You can find Fever-Tree products at Whole Foods and on Amazon.com. One word of advice: give any ginger beer a gentle shake to ensure that the settled ginger mixes well. I stress the "gentle" aspect as ginger beer is carbonated. A few final notes. For the lime juice I generally squeeze a 1/4 wedge of lime and then drop the spent lime shell in the drink. If you are entertaining then you may want to garnish the glass with a lime wheel. I also like to drop in a toothpick with a piece of candied ginger, which is great to eat when the drink is done, almost like brandied cherries in a Manhattan. Up to you how fancy you want to get. Some bartenders like to float the rum on top of the ginger beer to make a nice layered effect. It looks cool but no one wants a huge gulp of rum and then all ginger beer. Add the ginger beer last and you will mix the ingredients well. This is one of the easiest and tastiest drinks you can make. The balance between sweet and spicy is fantastic. It is a great summer drink so enjoy them for a little bit longer. Not to worry though! I will soon be posting about great Fall drinks.